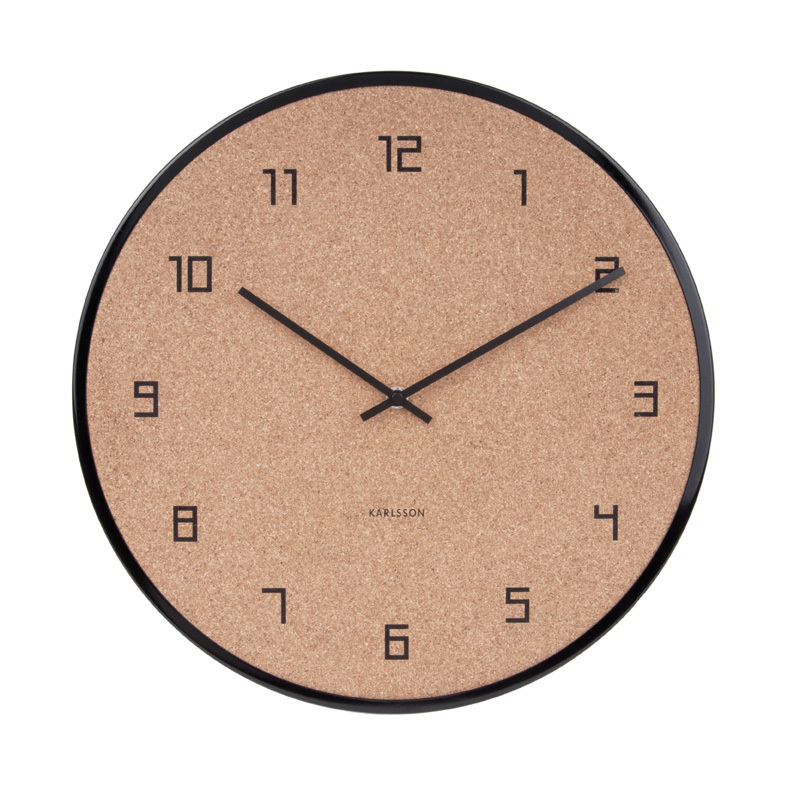 With lovely brown and sepia tones, cork brings a warm, earthy ambience into a home. 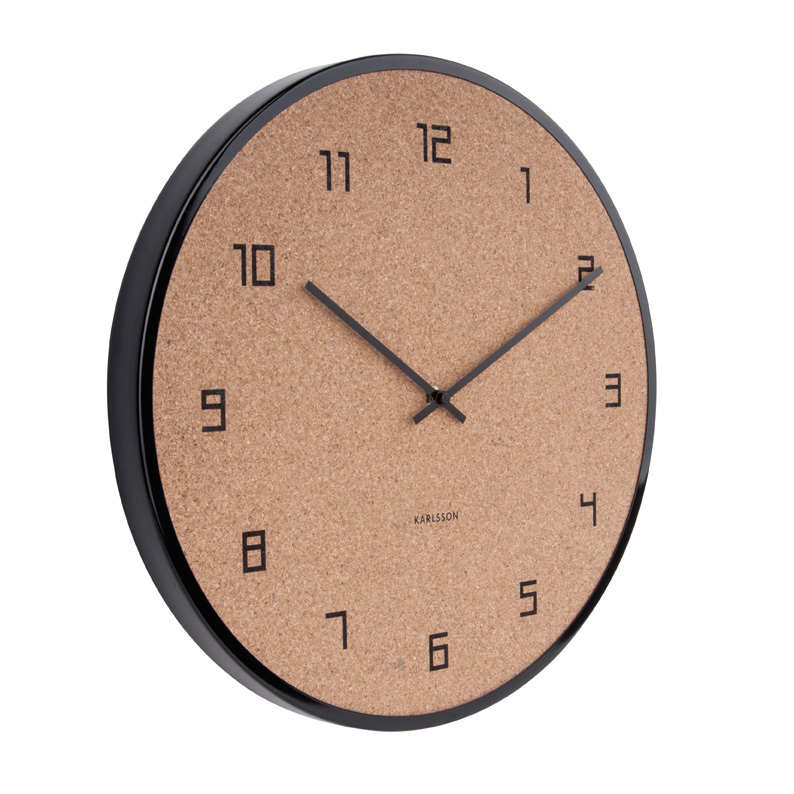 This delightful time piece from our new collection is a must-have for your entrance hall, study or den. The case is finished in a shiny black, creating an eye-catching contrast. Elegant black hour numbers and a set of long black hands add a sophisticated touch. Size diameter 40cm, depth 3cm.